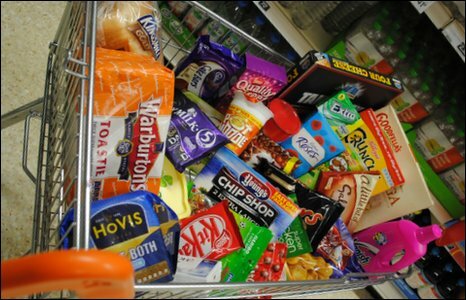 In researching Dying for a Biscuit, Panorama asked the makers of the top selling products containing palm oil and the major supermarket chains about their palm oil use. We also requested information on how they sourced their palm oil and whether or not they participate in the GreenPalm trading scheme, aimed at encouraging growers to produce more sustainable oil. Cadbury told Panorama that it is a relatively small user of palm oil. It said it uses the GreenPalm certificate scheme, which rewards producers that produce palm oil in a sustainable fashion. The company said it has "a road map in place for working towards a practicable segregated supply of sustainable palm oil by 2014". The makers of Clover margarine said they share the goal of finding a sustainable source of palm oil for its products. The company said it is looking into the Green Palm certificate scheme, but "the Green Palm scheme would not guarantee that our products are CSPO (Certified Sustainable Palm Oil) and we would not wish to confuse customers". Dairy Crest said it is also reviewing its labelling, which currently does not single out palm oil as an ingredient in Clover. The makers of the Young's Chip Shop range of battered fish products told us it has a plan in place to reduce its reliance on unsustainable palm oil and overall use of the oil. It has already removed palm oil from Young's Scampi and Cod Fish Fingers. By 2015, Findus Group said it will only use sustainable palm oil and in the meantime is increasing the use of sunflower and rapeseed oils in its products. Findus also said it is not participating in the GreenPalm scheme because "our business is following a journey to exit completely from non-sustainably sourced palm oil". The makers of Ginsters savoury pastries said they too are members of the GreenPalm scheme and that they plan to use only sustainable palm oil within the next 12 months. The company does not source the 3,250 tonnes of palm oil it uses a year from Indonesia or Malaysia. Ginsters does not label palm oil in its products, saying "we have had very few consumer inquiries on this matter". The sweets manufacturer said it uses small amounts of palm oil in Haribo products and hopes to be able to source sustainable oil by 2012. Haribo cream products that contain palm oil include Liquorice Allsorts, Liquorice Favourites, Liquorice Cream Rock, Micro Mix, Dolly Mixtures, Rhubarb & Custard and Strawberries & Cream. Heinz told Panorama that it plans to source sustainable palm oil for its Aunt Bessie's range "when it becomes truly commercially available". The company said it uses very small quantities of the oil and that it is not used in its soups, beans, pasta, ketchup or sauces. They said they are looking at participating in the GreenPalm trading scheme in 2010. Kelloggs said the vast majority of its cereals do not contain palm oil and, where present, it is in small quantities. It identified Crunchy Nut Clusters and Special K with Nut Clusters and Almonds as two products that do contain palm oil. The company said it supports the GreenPalm trading scheme and said it uses palm oil as part of its efforts to replace hydrogenated vegetable oils, which are trans fats, in response to health and nutritional concerns. Once sourcing sustainable oil is available "at financially and logistically feasible volume, we will move to sustainable palm oil." Mars said it is working towards sourcing 100% sustainable palm oil by 2015 and hopes to achieve 20% of that goal by the end of 2010. The company said it also hopes to reduce reliance on palm oil by more than 25% from 2008 levels in its European operations in 2010. Mars is not a member of the Roundtable For Sustainable Palm Oil, although it said its suppliers are members. Its chocolate that contain "small amounts of palm oil" include Mars bars, Galaxy bars and Maltesers. The makers of Kit Kat, Quality Street and Aero said palm kernel oil is used in a range of confectionery and dairy products, but added that it is not a major ingredient. It has committed to sourcing sustainable oil by 2015 and said it has no direct links to palm plantations. Northern Foods, the makers of Goodfella's Pizza, said from January 2010, 60% of the 19,000 tonnes of palm oil it uses annually will be from sustainable sources. The company said it hopes to use only segregated, sustainable oil by 2012. The company said palm oil is used in its biscuits, pizzas and pies. The company said that while all Chicago Town pizzas do contain palm oil, it amounts to just 3% of the raw materials used by the company. Chicago Town Pizza said none of its palm oil is from a sustainable source, although it said the issue was "high on our agenda as part of a wider company initiative regarding the continuity of supply and volume of raw materials". Proctor & Gamble said it is committed to buying only sustainable palm oil by 2015 for its range of products that include beauty and household items including detergents, shampoos, hand and body cleansers, soap and colour cosmetics. The company told Panorama that it uses a small amount of palm oil in Pringles crisps, but the amount used was reduced significantly in 2009 and there are plans to reduce the levels further in 2010. The makers of Hovis bread, Mr Kipling cakes, Cadbury cakes and Bisto gravy granules told Panorama that it uses 30,000 metric tonnes of combined palm/vegetable oil each year. By 2012, the company aims to be able to identify the source of its palm oil and blended oil. Premier Foods said it began using the GreenPalm certificate system in January 2010. Reckitt Benckiser, makers of Vanish, said it is a small user of a product derived from palm oil. It said it is committed to sourcing sustainable oil by 2015. A spokeswoman for the company said Vanish contains a small volume of palm oil derived natural ingredients. The makers of Flora margarine, Knorr soups, Pot Noodles and Dove soap said it is the industry leader in purchasing GreenPalm certificates to encourage sustainable palm oil growth. For its European business, Unilever said it plans to establish traceability for its palm oil supply chain by 2012, although not for its palm oil derivatives. By 2015, the company said it will only buy certified sustainable palm oil, regardless of cost. They added that any extra cost would not be passed on to consumers. Unilever has recently committed to severing its supply chain links with a major Indonesian palm oil producer that Panorama found to be logging illegally in high conservation value rainforest in Borneo. The breadmaker said palm oil accounts for between 15-20% of the blend of oils used in its products. Warburtons also uses the GreenPalm trading scheme and said it would like to rely on 100% sustainable oil by 2011. Wrigley also aims to source only 100% sustainable oil by 2015 for use in its chewing gum, including Wrigley's Extra. The company has not bought GreenPalm certificates and said it uses very small amounts of the oil in its manufacturing. In 2008, Sainsbury's announced ambitious plans to source sustainable palm oil for its most popular own brand products. The company estimates that 2,000 of its own brand products contain palm oil. The supermarket estimates that around 10% of the palm oil it uses comes from sustainable sources. It said its strategy is to introduce sustainable sourcing standards to those products that use the greatest volume of palm oil, and to offer sustainable palm oil in the everyday products that customers buy on a regular basis. The company says it has addressed a substantial proportion of its palm oil footprint since it first began its sustainable palm oil programme in 2008 with basic fish fingers. Asda said any palm oil or palm oil derivatives used in its own label products must be sourced from plantations that are recognised for not endangering vulnerable native forests and their fauna and flora, particularly areas of high conservation value forest or peat lands. Asda told us it strongly encourages all its suppliers for its own label products to use RSPO (Roundtable on Sustainable Palm Oil) certified palm oil and palm kernel oil as soon as possible, but at the very latest this must be achieved by January 2013 and January 2015 respectively. In the meantime, suppliers can use the GreenPalm trading certificate system. Currently, palm oil is found in a variety of its products, including margarines, crisps, ready meals, chocolates, soap, candles and cleaning products. Aldi has already introduced a policy to individually name palm oil in its ingredients list for own label products so that customers know which of its products contain the oil. A company spokesman said Aldi is "aware of the importance of deriving palm oil from sustainable and responsible sources and are developing a policy that covers this." The spokesman added that Aldi is reviewing its own label range with a view to finding alternative or sustainable sources and is also developing an on-pack icon to highlight for customers that it contains sustainable palm oil. Tesco told Panorama that most of its palm oil use is found in bakery products, cosmetics, pies, pastries and soaps. The supermarket giant has publicly committed to using 100% sustainable palm oil by 2015. By 2012, all suppliers to Tesco's own brand products must use palm oil that is 100% traceable as a step towards using only sustainable oil after 2015. Waitrose told us that palm oil is used in about 1,000 of the company's own-brand products, representing about 10% of the total range. It has committed to using 100% sustainable palm oil by the end of 2012. By the end of 2010, it aims to have achieved 25% of that goal and it has committed to singling out palm oil as an ingredient on it own label products. The Co-operative said that as of January this year, 16 of its own brand products are made with sustainable palm oil, and it is in the process of converting 16 more lines to sustainable palm oil by June of this year. It has committed to using sustainable oil in its own products by 2015. Since the mid-1990s, the Co-operative said it has labelled palm oil on its ingredient list. Birds Eye have committed to only source palm oil that is certified sustainable under the RSPO Book and Claim method by 2011. The company says their palm oil use is less than 5% of their total oil use and they do not use palm oil for frying. Marks & Spencer told Panorama that they have reduced the use of palm oil in the company's products wherever possible over the last two years. Where possible, M&S said it singles out palm oil as an ingredient in its own-label products. The company is committed to using 100% fully traceable certified sustainable palm oil in all products by 2015. Kraft told Panorama that it sources its palm oil from Roundtable on Sustainable Palm Oil (RSPO) members. But it also told the programme that more needs to be done to enforce guidelines and address deforestation and the impacts of palm oil production on climate change.